Are you looking for a Removals Company in Chelsea SW1 London? Hire Chelsea Movers by MTC London Removals Company with skilled moving specialists for complete peace of mind. Our removals are leading Chelsea moving company as well as we cover many other locations in the UK. Chelsea is one of the most popular area in south London. One of its well-known streets is Sloane Street located many shopping stores in London, including high end stores and boutiques (e.g. Prada, Gucci and Chanel). This area with its industrial tradition is place of many of our satisfied customers and in the future we hope to welcome many more. MTC London Removals Company is long-established removals company, customer service is at the top of our agenda and wherever you are in Chelsea we look forward to helping make your home move as smooth and easy as possible. MTC Removals is one of the best Removals Company in Chelsea .It is London based house removal and office removal Company Chelsea, we are experts in all aspects of house removals and storage needs. MTC London Removals Chelsea service is the best choice for Chelsea residents looking for a reliable removal Services Chelsea. So, you don’t have to look anywhere else! We are Chelsea Removals – man and Van Company based in south, west part of London trying to provide a competitive service for our customers. Doing that for many years we always trying to improve and optimise our company. We have teams based in Chelsea area. By choosing MTC Chelsea Removals Company when you moving house, office or some furniture you will receive quick response and we will send the nearest man and van team available which mean we can fulfil your needs even on the same day. Our vans with man are equipped with everything necessary for the purpose of moving and fully ensured as well. 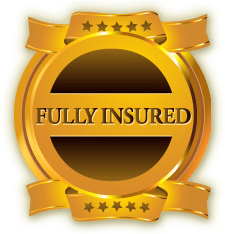 We guarantee that the work will be performed in a way that will provide you with the best possible quality and within the specific term so at the end you will feel completely satisfied and content with the choice you have made. We have fully equipped and trained removal team of house movers to handle your move. All at a competitive price we pack, load, unpack, transport and deliver your things with expert efficiency, use only the best packing materials to keep all your luggage safe and sound,. If you find that you’re in need of a Removal firm in Chelsea to keep a close-eye on excess furniture, appliances or equipment, MTC Removals also offer safe, secure and affordable storage services to Chelsea customers. With containerised and self storage solutions, you can be sure that anything you store with us is well-looked after. There are a range of options available to suit any budget, and our knowledgeable team is more than happy to advise on the most suitable man and van removals service for you. Planning to move office or home and you need to hire removal Company. Friendly Removals also provide a variety of man and van services for when a full removals service isn’t necessary. Whether you are simply move across London or moving further afield, the first thing to do is to arrange a free moving survey with one of our experienced Chelsea Removals Services from our Sales Office. They will visit you at your home in Chelsea, at a suitable time and day, to discuss all the aspects of your move, charge the contents of your house and run through our different packing options. They will then prepare a detailed quote for you to accept and book a moving date. On the definite day of your move, MTC Chelsea and Kensington Removals team will arrive at your home to professionally pack, wrap and load everything to make sure your furniture is protected during transportation.. We’ll even sort out parking permits and any other restrictions that can cause issues when moving home within the area of Chelsea. 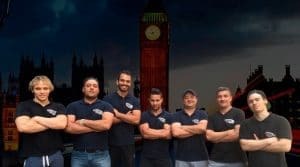 Here at our MTC London Removals Company team of hard working, organised, and loyal staff do the hard, stressful work for you, so you can enjoy your shift day. We hope that we can offer you the perfect solution to your needs with the bespoke range of Chelsea Removals we have to offer. You should require them, we also offer packing and storage facilities. Whether you are living in Chelsea, and looking for the perfect removal company in Chelsea, because you’re simply going round the corner or over the road, or if you’re heading out of the borough to pasture new – maybe even another country – MTC London Removals Company is your solution, offering affordable, competitive prices to suit your needs and budget. 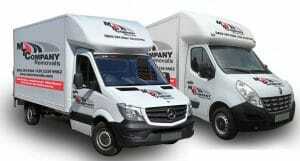 The charges of Man and Van london MTC London removals are fairly less than any other removal companies. Our company is providing with the best staff that can even handle easily broken materials with perfect care. MTC Removals is a leading Chelsea removals company that offers a wide variety of services for their customers, handling Kensington and Chelsea removals. With a man and van SW1, the team of professionals at MTC Removals company will work efficiently to ensure that your items are safe during the removal process. MTC Removals Cadogan Square, London SW1X has built up a solid reputation of customer satisfaction as a removals company in Chelsea. For furniture removals Chelsea, MTC is the company you need to turn to. They are among the leading Chelsea removal companies for their commitment to their customers. See why MTC Removals company stands out from other removals companies Chelsea. At MTC Removals, we have been in the industry for years which has given us incredible insight on the best ways to improve upon our business. We cater to a wide array of removal services for our customers. 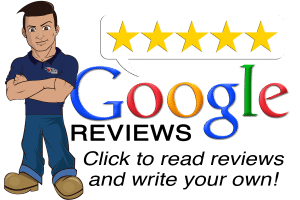 We listen to what your needs are and create a plan that will achieve whatever goals that you have for your removal in Chelsea and its surrounding locations. Our team is full of professionals who are knowledgeable and experienced. They are enthusiastic, ready to help our customers move in the most efficient way possible. Moving can be a stressful moment for you and your family, so it helps to have a team of professionals on your side that will get the job done well. Traffic? Our team will plan accordingly to ensure that your move goes smoothly, avoiding major traffic issues and road closures to get where we need to on time. We know that you need to have your items moved safely and quickly, especially if you are a business that works on tight moving deadlines. You need to get your business up and running as quickly as possible to minimise financial losses. Residential customers want to move quickly so that they can get settled in as soon as possible in their new home. Whether you are looking for commercial or residential removal services, MTC Removals is the best company for you. MTC Removals has only the most hard working and organised team, who have the skills to take the stress out of the move for you. Moving is hard and stressful. There is so much that you need to do, and you can easily get overwhelmed during this process, especially when you have to worry about things like work and kids while trying to get this done. Let our team of professionals take all of the stress out of the process, allowing you to take a breath. You already spent a lot of time and effort trying to find your new home or office; it’s time to let someone else take care of the hard stuff for you. Do you need additional services like packing or storage? MTC Removals can also help you with that. Wherever you are going, make MTC Removals SW1 Cadogan Square your first call. We offer you affordable solutions that can meet your needs and your budget. Our competitive prices will bring you in, but our team will guarantee your satisfaction.